2:51 | It was in Korea that Bo Blasingame decided on the Army as a career, but it wasn’t his experience as a platoon leader that convinced him. It was becoming a personnel officer that made him interested in the organizational side of the military. Bo Blasingame was one of the Class of 1951 at North Georgia College, a military school that had seen the 1950 class decimated in Korea. The ROTC graduates were inspired to enlist and avenge their classmates. En route to Korea, Bo Blasingame and his fellow green officers learned of the death of Josef Stalin and began to despair. Their youthful worry was that the war would be over before they got their own taste of battle. When Bo Blasingame was there, the lines were close and fixed in the mountainous terrain of Korea. This meant that in addition to going undetected by the nearby Chinese, you had some pretty serious mountains to climb. Platoon leader Bo Blasingame’s day could be mundane, like inspecting feet for frostbite, or it could be very tense, like watching the battle of Pork Chop Hill rage nearby. After his tour in Korea, Bo Blasingame attended a seminary and re-entered service as a chaplain. He was back in the thick of battle with a different mission, this time with the 1st Cavalry in Vietnam. Vietnam was alive with animal life according to chaplain Bo Blasingame. Aside from the pythons, the tarantulas and the pet mongoose, there was a bird in a banyan tree that had a habit of making a noise that sounded like an obscenity during services. Seeing napalm used on Chinese troops in Korea began the transformation of gung ho infantry officer Bo Blasingame into a chaplain with a pacifist outlook. Still, his sympathies are always with the soldiers. LT Bo Blasingame's photos give a glimpse into the daily life of his unit, outside of combat, during the Korean War. 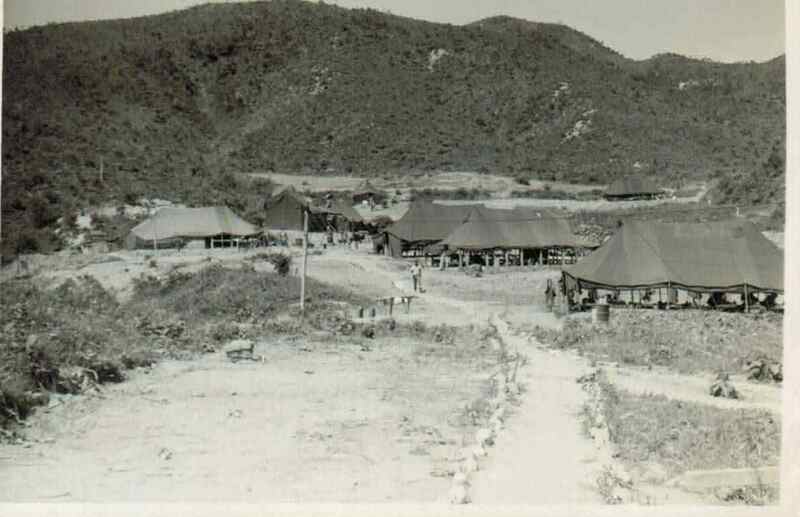 Included are images of the varying weather (extreme cold to extreme heat), ROK soldiers, and camp life.